Recently the Swedish Ministry for Foreign Affairs has seen itself called out to address some of the burning issues rankling the Swedish society.1)All quotes from: Facts about migration and crime in Sweden, Government Offices in Sweden.It is made in the form of questions or claims that arise on the part of the Swedes on the other hand and the government’s responses on the other. Reading through it, someone who spent half his life under a similar, socialist/Marxist system like the writer of this text, cannot fight off the impression of experiencing a déjà vu, since a few decades ago in central Europe in Comecon countries, you would watch TV informing you about nice weather, then look out of the window and see rain coming down in sheets. We were used to it. We even developed a strategy of interpreting the official communiques in a specific way, which basically meant reading the messages backwards, and construing good as bad and the other way round. So when I saw the document issued by the Swedish Ministry for Foreign Affairs, my socialist past came back to me like it was yesterday. Let us delve into the text. Swedish citizens claim, we read in the document, that ‘there has been a major increase in gun violence in Sweden,’ to which the Ministry replies that it is not the increase in violence, as there has been none, but the ‘perception that violence is actually increasing’. Put in another way, it is not the shelves that are empty of goods but the perception of emptiness. Swedish citizens claim, we read further on, ‘Refugees are behind the increase in crime, but the authorities are covering it up’, to which the Ministry of Truth replies, invalidating that claim, that the ‘majority of those suspected of crimes were born in Sweden to two Swedish-born parents’. Notice the phrase Swedish-born parents rather than Swedish parents i.e. these parents are most probably migrants themselves or naturalized migrants. Further, ‘the vast majority of people from foreign backgrounds are not suspected of any crimes,’ as if that was the matter! Of course the vast majority cannot be held accountable: it is the percentage that matters, and if crime in migrant neighbourhoods is committed by, say 30% of its members, it is still a vast minority, but why should it be a comforting observation to an indigenous population that used to feel much safer? Swedish citizens claim that ‘the high level of immigration means that the system in Sweden is on the verge of collapse’, to which the Ministry of Love replies that the ‘Swedish economy is strong’, and ‘Sweden needs immigration to compensate for the decline in numbers of babies being born here,’ but then, having accepted 163 000 people in 2015, the government has taken measures that ‘led to fewer people now seeking asylum in Sweden,’ so which of the two truths is true (or more true)? Does Sweden need immigrants to have a strong economy in which case it should not restrict its asylum policy, or Sweden does not need them as they lead to an economic and social collapse, which is precisely why the government is curtailing the immigrant influx? Swedish citizens claim that ‘Muslims will soon be in the majority in Sweden,’ to which the Ministry of Peace replies that ‘it is estimated that there are a few hundred thousand people in Sweden whose roots are in predominantly Muslim countries. 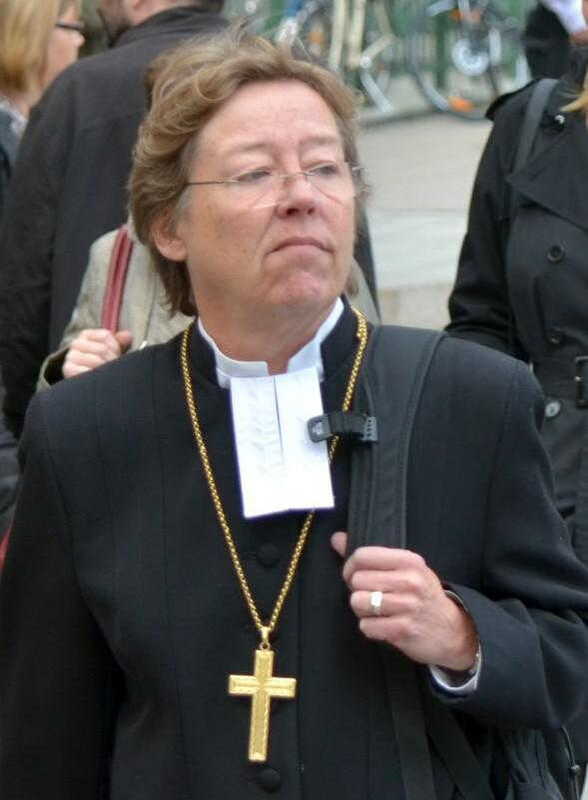 But this figure says nothing about how many are religious or not,’ because, continues the document, ‘Muslims make up about 1.5 per cent of Sweden’s ten million inhabitants, of whom 6.2 million are members of the Church of Sweden.’ Does the Ministry pretend not to know that church attendance and religious practices of indigenous Swedes is far lower than what the apparent membership of the Church of Sweden might imply2)Almost eight out of ten Swedes are either “not religious” or “convinced atheists” (…) A total of 63,398 people were questioned, with only China, Hong Kong and Japan appearing to have a greater proportion of atheists than Sweden (…) Mosque and synagogue attendance is however rising thanks to growing numbers of immigrants arriving in Sweden from the middle east, [in:] Sweden ‘least religious’ nation in Western world, The Local 2015-04-13. Only about 400,000 of the roughly 6.6 million members of the church say they attend services at least once a month. The survey, conducted by Jonas Bromander, chief analyst of the Church of Sweden, also found that membership continues to decline (at an accelerating pace), from about 95 percent of the population 40 years ago to the historically low 68.8 percent today. [in:] Church of Sweden’s Nonbelievers, The Living Church 2013-01-24. whereas Muslim religious groups, even if relatively small, profess a vibrant with genuine, unquestioning and strong faith? 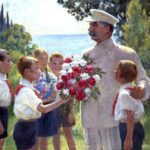 Who in the last resort is going to prevail, to make an impression on society, who is ultimately likely to convert whom? I have already been exposed the that kind of newspeak in my life. It didn’t occur to me I’d have to live through it again after the fall of communism. But then, probably, I have difficulties with my perception, and everything is all right out there, and I need to be handled by a good psychiatrist. In the Soviet Union political dissent was a sign of a mental illness because you could not contest what was presented to you as something good. Perhaps I have one. 1. ↑ All quotes from: Facts about migration and crime in Sweden, Government Offices in Sweden. 2. ↑ Almost eight out of ten Swedes are either “not religious” or “convinced atheists” (…) A total of 63,398 people were questioned, with only China, Hong Kong and Japan appearing to have a greater proportion of atheists than Sweden (…) Mosque and synagogue attendance is however rising thanks to growing numbers of immigrants arriving in Sweden from the middle east, [in:] Sweden ‘least religious’ nation in Western world, The Local 2015-04-13. Only about 400,000 of the roughly 6.6 million members of the church say they attend services at least once a month. The survey, conducted by Jonas Bromander, chief analyst of the Church of Sweden, also found that membership continues to decline (at an accelerating pace), from about 95 percent of the population 40 years ago to the historically low 68.8 percent today. [in:] Church of Sweden’s Nonbelievers, The Living Church 2013-01-24.